It's that time of year.‘Tis the season of gift-giving! Whether a scarf, a necklace, or charming décor, find the perfect special something to give to your loved ones or for yourself at a local holiday craft fair and market! 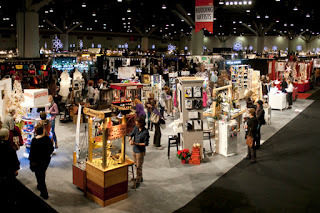 Checkout our list of Holiday Markets and Craft Fairs. Please check website links prior to attending. Happy Holidays!